Beth Fish Reads: Can I Challenge You? As you know, I love reading challenges and I have a very hard time saying no. Here are some challenges I thought about joining, but with 18 on my list, I was forced to pass. I list them here, however, because I bet you won't be able to say no. Have you read Wendell Berry? He is one of my favorite authors, and the only reason I'm not in the Wendell Berry Challenge, hosted by Carrie from Books and Movies is because I've vowed to do less re-reading this year. Here are two quotes to whet your appetite: "Ask the questions that have no answers. / Invest in the millennium. Plant sequoias" and "When going back makes sense, you are going ahead." You can join at the two-book level. If you have a hankering to read books from around the world, then Judith from Leeswammes' Blog has just the challenge for you. The Book Bloggers Abroad Challenge is a two-level winner: great book blogger-suggested titles plus a chance to get to know bloggers from other countries. 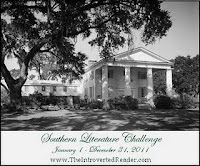 This challenge is based on the popular Book Bloggers Abroad feature and will take you to more than two-dozen locations. You can join at the five-book level. 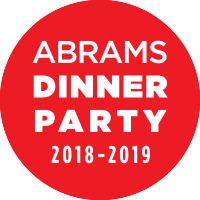 Here is very fun challenge hosted by several bloggers, but you can find information from Joann at It's All about Me (Time): The Whip-Up Something New Challenge isn't about reading, it's about cooking and it encourages you to make one new dish a month. This is one challenge I actually hope to participate in--after all, I can use my new recipe for a Weekend Cooking post too! I don't know about you, but I've always wanted to go to Italy. I've been across the pond several times, but never to the land of good food, ancient history, awe-inspiring art, and beautiful scenery. Silvia from Book after Book is hosting the Italy in Books Challenge. Here's your chance to be an armchair traveler: fiction, nonfiction, light, or heavy--if it's set in Italy, it counts for the challenge. The welcome post has resources and you are encouraged to read twelve books. Feeling too much pressure to read longer works to complete a challenge? Carrie from Books and Movies has the solution. She is hosting her third annual Essay Challenge. Essays are the perfect way to get a taste of authors you may have always wanted to read but did want to commit to yet. Although my favorite essayist is Emerson, there are plenty of modern essayist who write about everything from religion to humor, from business to parenthood. You can join on the ten-essay level. Here's a great one for mystery lovers and another one I would have joined had I decided against re-reads this year: The Baker Street Challenge (on it's own blog) hosted by Bookish Ruth. This challenge is about all things Sherlock Holmes. Not only can you finally get around to reading the original Holmes stories and novels but you are encouraged to read some of the modern Holmes books and spin-offs. And non-fiction also counts. You can join for as few as three books. Wish you read more nonfiction? Here is the easiest non-fiction challenge in existence: The Dewy Decimal Challenge. Jen of The Introverted Reader asks you to "Read any non-fiction book(s), adult or young adult." Yeah, it's just that simple. You can sign up to read one book up to four books and you have an entire year to complete the challenge. Come on, you can certainly sign up for this, can't you? Here's a really fun challenge: The Cusak Challenge (yeah, as in John Cusack). Care of Care's Online Book Club came up with idea when she read an article in which Cusack talked about the books that have had an influence on him. The list is not very long and is a bit eclectic. Come join Care in this perpetual challenge. The commitment is to read eight great books, with no time limit. 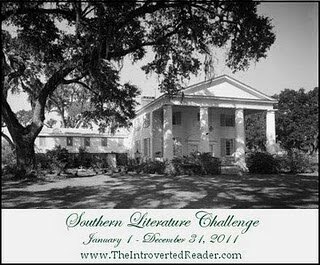 Jen of The Introverted Reader is from the South and to celebrate her southern heritage, she is offering the Southern Literature Challenge. You can surely complete this challenge. Go with a classic: Gone with the Wind? Flannary O'Connor? Or perhaps you're more interested in current authors. Try Pat Conroy, why don't you? Did you know Fannie Flag has a new book out? You can join on the one-book level. Well, there you have it--I hope I've convinced you to join at least one of these challenges for 2011. You enabler you! ;) Since I am already participating in way too many challenges (and hosting one myself *hint hint*) I think I will pass... maybe you could refer to http://novelchallenges.blogspot.com/ as a great resource for finding new reading challenges? I was just saying yesterday that I want to try Flannery O'Connor and with a one-book commitment, it won't be stressful to join the Southern Lit Challenge. You definitely convinced me! I love the food challenge. I cook a lot so this might be a given...I also like the Blogger Abroad Challenge. Thanks for all this great info! I like the whip up up something new and Italy challenge...I do both of these things anyway! Oh, that food challenge is sooooo tempting but I am staying strong and sticking to my 2 challenges. Honestly, I am . 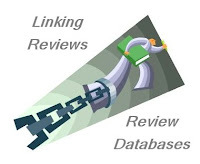 . . um, what was that link again? Some of these challenges look excellent, and I may never have even known about them without your coverage, so thanks Beth! I think the cooking challenge sounds awesome, and since making a new dish a month is one of my goals for the new year, I think I am going to have to try this one out! Yay! So many great challenges! You tempter you. You even managed to come up with two I hadn't heard of. Thanks for these, I think. Oh, the challenges are all so appealing! I've forced myself not to join any this year, though, because I put too much pressure on myself to finish... and it begins to feel too much like school. Looking forward to seeing what everyone else is reading this year, though! Thanks for putting this together - I also have a lot of challenges that I'm signing up for, but the Italy one is something I haven't seen yet. I absolutely LOVE Italy - I've been twice (once for my honeymoon a little over a year ago), and if my husband and I could move there, we would. Ahh, Italy. I am so signing up for that challenge. Thanks! Oh, that's just mean. Why don't you just offer me yummy cake as well. hehehe There are some good ones there, I'll have to rethink if I'm really done with picking my challenges. Those all sound good but I couldn't possibly add another challenge to my plate. Thanks for giving the Wendell Berry and Essay Challenges some exposure! Nice to feature some of these challenges. Ho Ho, you are a minx! I am resisting, but if I were to have a weak moment, I would most likely go for the Southern one, or the Cusak one (because as we all know, Lloyd is irresistable). Thanks for sharing these great challenges! I love seeing all the different kinds out there! Yep - I now officially signed up for the Italy challenge. Yikes! What have I gotten myself into? ACk!! I'm not going to fall prey to this ... I will just ignore John Cusak's photo. I will resist the urge to look up the link to see what he read. But it is a perpetual challenge ... hmmmmmm. I haven't yet signed up for any challenges this year; I'm trying to hold out until February. Thanks for posting my challenges! 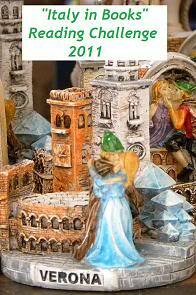 I am looking at the Book Bloggers Abroad Challenge and the Italy in Books Challenge. Very tempting! I adore Wendell Berry, but I think I've read all the books my library has.